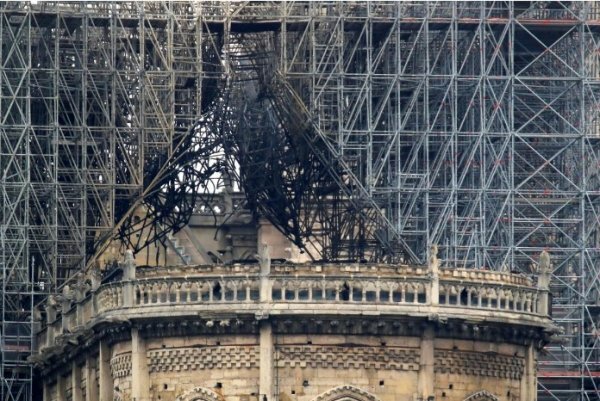 Macron devoted a brief prime-time televised address to Monday’s catastrophic blaze in the heart of the capital, again postponing planned remarks on his response to months of anti-government protests. 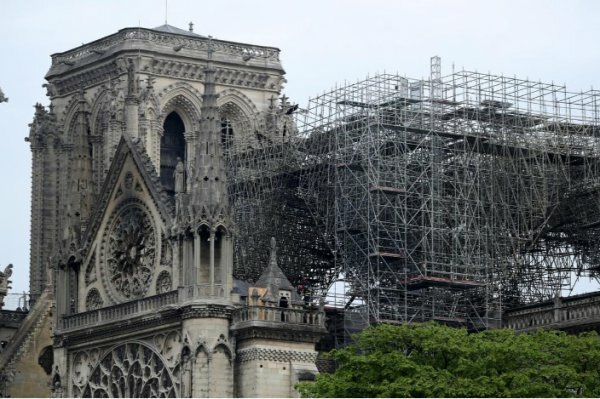 “We will rebuild Notre-Dame even more beautifully and I want it to be completed in five years, we can do it,” Macron said. 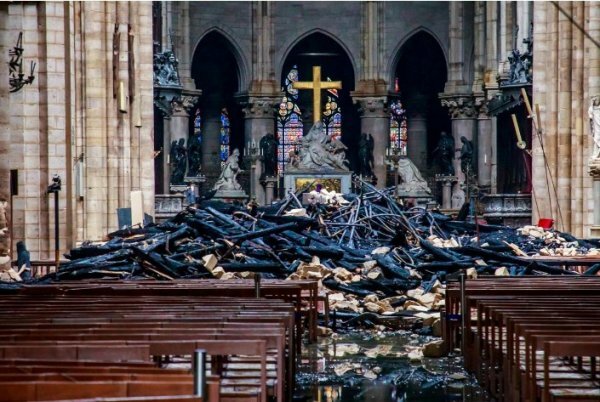 “It is up to us to convert this disaster into an opportunity to come together, having deeply reflected on what we have been and what we have to be and become better than we are. 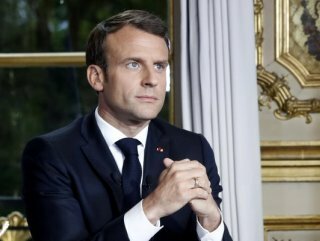 It is up to us to find the thread of our national project.” “This is not a time for politics,” added Macron, who had canceled a speech planned on Monday evening on the response to the “yellow vest” protests. 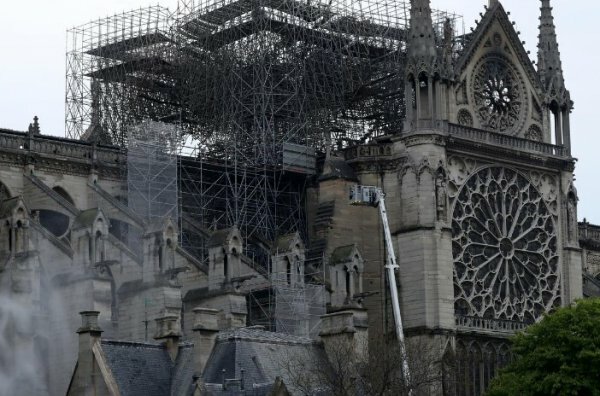 Some 24 hours after the fire started, more than 750 million euros ($845 million) had been pledged, including 500 million from the three billionaire families that own France’s giant luxury goods empires.